I would like to know what is the cheapest way to get to the Phi Phi Islands. I will be staying in Phuket prior to leaving. Would it be cheaper by speed boat or ferry? 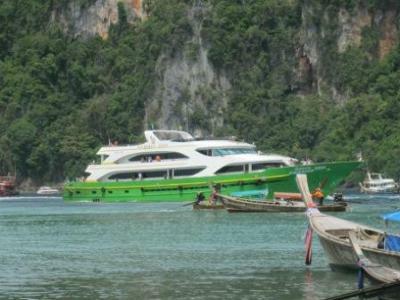 Catching a ferry is the cheapest way to get to Koh Phi Phi from either Phuket or Krabi. 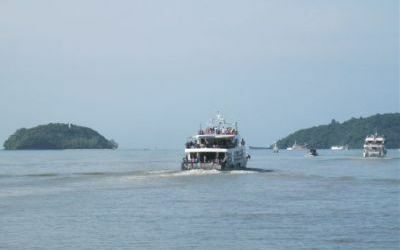 Traveling by ferry is great if you are planning on staying overnight in one of the hotels or resorts on the island. However, if your time is limited and you are just wanting to go for a day trip the quickest way to reach the islands is by speed boat. This can be done with a tour group or on-board a private charter boat. Hope this helps and you have a great holiday. Hi Jeff and Paula, family of four, we arrive in Phuket on the 18/1/2013. We are looking to take an elephant ride only, without the extras that some of these tours include. You can do an elephant trek without all the other extras. The link below is to Kok Chang Safari, you can either book online with them or just give them a call when you are in Phuket. If you have your own transport there is no need to book. Bookings are only required for your transport and not the actual trek. Depending on where you are staying will determine the cost of your transport. If you are staying in Karon, Kata, Kata Noi, Nai Harn or Rawai they will provide complimentary pick up. All there details can be found on their website. Here is a link to the reviews on Trip Advisor.